Suddenly, blank page with this in the corner. Joy of joys. Can someone please give some reassurance that this is being fixed, or that it isn't going to remove our worlds, and that there is hope? 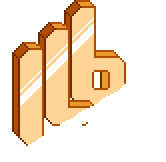 Heya, we're to do one backend push to provide an API update so the logins work again, for now Worldbound is down.